Getting your small business to adopt credit card processing and accept credit cards is a process that is not difficult to navigate, but the service is not free. Some fees and charges will be deducted from your transactions resulting in you receiving less than the full amount of the customer purchase. As long as that fact is fixed in your mind, we’ll move forward. The Catch-22 of the situation is that you can’t really be in the e-commerce business or even the brick and mortar store business without the ability to accept credit cards as a form of payment. Society is on the verge of eliminating cash as a means of doing business. Apple Wallet, PayPal, and all other online credit card processing services are getting us closer to the day where cash will no longer be needed. Electronic transfer of funds will become the standard way of doing business. There are many pros and cons to that argument, but that isn’t our purpose here. Let’s talk about how to set up your small business to accept credit cards as it definitely should. 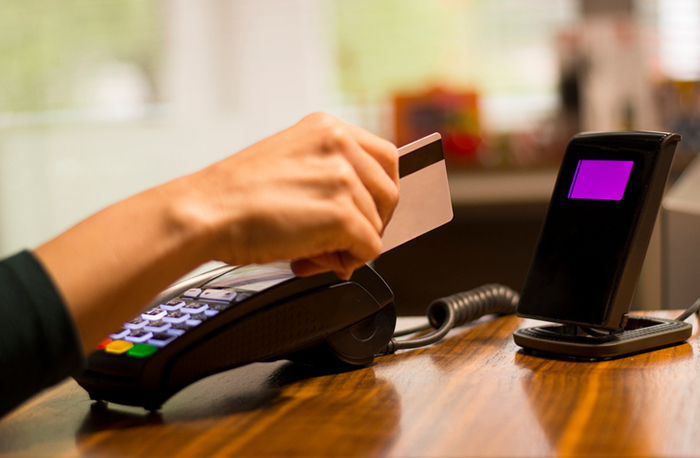 Setting up credit card processing to accept credit cards all begins with selecting a financial institution that will handle your credit and debit card transactions. They are the people with access to financial clearing houses where all this electronic activity takes place. I’m sure you’ve seen the term ACH on your own personal credit card statements. Automated Clearing House (ACH) is an electronic network for financial transactions in the United States. What are you looking for in a financial provider for your business? The answer is usually reasonable fees and transaction charges. They both have a different nature to them so we will discuss them separately. In the final step, you apply to this institution to set up what they call a merchant account through which you also get merchant service credit cards. This is the account where your money from sales will accumulate. Discount fees which are the fees associated with your credit card processor for each transaction, the sale of goods, and refunds. Cost per transaction fee which is a fixed cost of 20 to 50 cents per transaction.The discount fee is just the cost of doing business. Some institutions will also charge you a periodically for the maintenance of your account. Again, this is the cost of doing business. You can always negotiate these terms with your bank. Don’t even think that you can just pass these fees onto your customers in the transaction because you can’t. At least not directly. If you do it blatantly, the bank will cancel your merchant’s account. You will have to consider those costs of doing business as part of your merchandise pricing strategies before the fact. Once you’ve chosen your financial institution, they will also provide the service of leasing and selling you the right equipment to be able to access their system over your phone or internet connection, which is another expense to keep in mind. This is the case where your storefront is an actual website. There is no brick and mortar other than where you store your merchandise for shipping and receiving, which might even be your garage. In fact, services like PayPal primarily exist to handle e-Commerce business. They act much like a traditional bank, but their fees tend to be lower because they are an online entity as well. Their operating costs are lower, and they can connect your own personal credit card with setups like this to facilitate the movement of money and remove restrictions on how much you can transfer at a time. You always have the option to use a traditional bank a well as they are capable of handling online transactions as much as PayPal is. Now go out and make some dough!